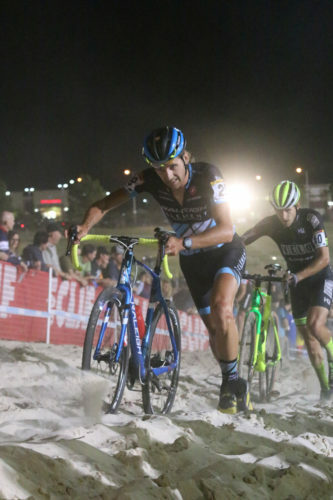 LONGMONT, Colo. – August 1,2017 – CrossVegas, the US's largest cyclocross race, announced today that the annual race will make a move to Reno, Nevada in September 2018. The move of the biggest cyclocross race in the US follows the announcement by Interbike, the annual bicycle tradeshow, to relocate to the northern Nevada city beginning in 2018. CrossVegas has been a part of the annual Interbike week of activities in Las Vegas since 2007. Note that the 2017 race is set for Las Vegas on Wednesday, September 20, 2017. Registration information is below. CrossVegas 2018 will take place on Wednesday evening, September 12, 2018 following the 2nd full day of the Interbike show. 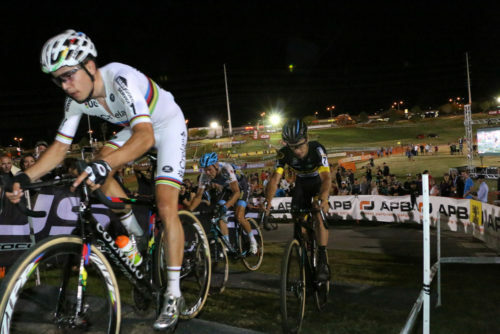 Preliminary plans include staging the evening event at Rancho San Rafael Regional Park, site of the upcoming 2018 US National Cyclocross Championships. The park has been home to other cross events and is conveniently located close to the downtown Reno area including the Reno-Sparks Convention Center and dozens of hotels.